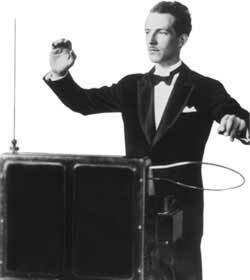 Leon Theremin playing the Theremin (probably the only instrument on the site, not having keys). ruskeys.net is a wonderfull site. A virtual museum for old russian made synths and keyboards. Today is the 5th anniversary of the death of Oskar Sala. 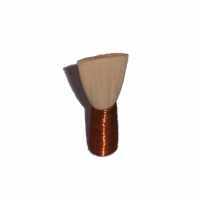 Oskar Sala was a physicist and composer and devoted his life to the development of the Trautonium. 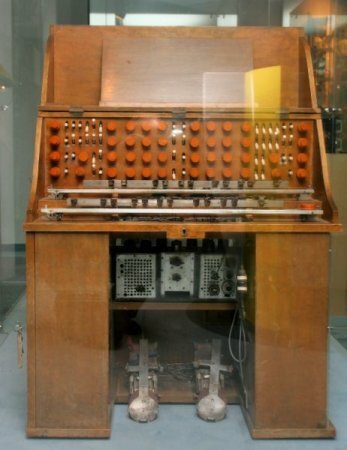 Like the Theremin the Trautonium is one of the most influential forefathers of modern electronic instruments. But unlike the Theremin the Trautonium rarely made it into popular music (it might be best known for the sound effects in Hitchcock’s “the birds”). 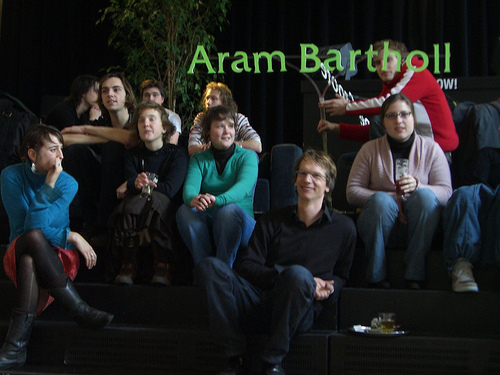 There will be a memorial concert at the Musikinstrumentenmuseum Berlin on March 1st and 2nd. “Subharmonische Klänge — Oskar Sala zum fünften Todestag”. An image from last weekend in Berlin at one of its beautiful lakes. The FEZ Berlin a children, youth and family centre (actually the largest in Europe) is one of the jewels of Berlin. FEZ-Berlin is run as a non-profit organisation of the Land Berlin and is divided into three main components: the educational work with children, youth and families, the Berlin State Music Academy and the indoor and open air pools. It was originally founded in 1950 as the Pionierrepublik „Ernst Thälmann“. For the educational work it hosts among others an ecology garden, a kids museum, a real kids train, which dates back to 1956 and the Orbitall -a space exploration centre for kids dating back to 1979. 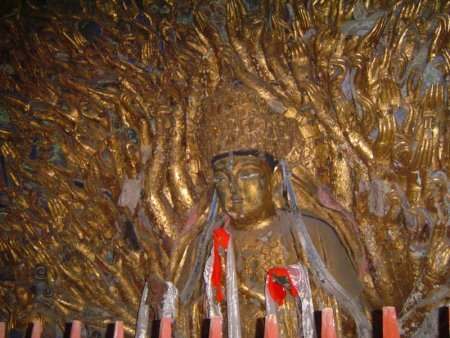 With various activities like e.g. the space camp mission kids get prepared for the future. Yoshihiko Satoh is taking the idea of the double neck guitar to the edge. (via vvork). a particular interesting double guitar can be seen here beeing half a bass. Also worth mentioning is conkling guitars’ double neck bass (with seven strings each). Up to five-neck guitars are used now and then. However, the tendency of joining body parts seems to be more universal (and not only the double reed as shown above): There is for example Jhon Rose’s double violin, the “mystic” double flute wich seems to be similar to the Bulgarian Dvoyanka the double piano from 1928, or the double belled trumpet. And even now the development doesn’t stop. Close to of off topic but a nice installation of Kenny Marshall. There is currently (german nun =now) a big exibition in Berlin about the art of Tibet. The objects in this exhibition are mostly from tibetan monasteries. Unfortunately the exhibition ends in around the 1940’s so that one cannot see much of the further development of this fascinating culture like in particular the multicultural influences from China and India. …well, I’ve tried. 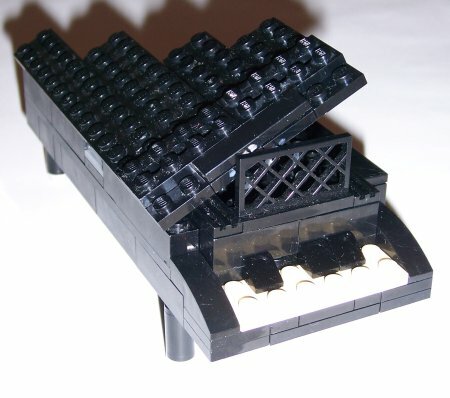 But others do better and even a lot better: Like this working LEGO Harpsichord. We already noted that one can do serious things with lego bricks, but using the capes of the lego minifigures to cushion the dampers adds a new quality. This dulcimer works as well but looks less fashionable. There is currently something like a “Plattenbaunostalghia” in Berlin, which manifests itself in Plattenbau-esthetics-designed clubs or things like this Plattenbauquartett available everywhere in Berlin-Mitte. Last not least there are still some eastgerman Plattenbaus even in Berlin Mitte. While the east german Plattenbaubuildings built in the 70/80ties actually rather meant a social upgrade at that time, their west german analogs (in Berlin-West this is Gropiusstadt and the Maerkische Viertel) were intended to provide cheap living spaces. If these kind of quarters are badly connected to public transport then either the explosive social mixture of the seventies is still prevalent or they become the victim of the shrinking cities phenomenom (see also ping mag). Likewise east german Plattenbaubuildings in rather remote locations experienced a social devaluation. Besides the bad connection to the inner city, one reason for the devaluation is of course that these buildings are badly built. You can hear almost every word of your neighbours and you better do not practise a music instrument. Someone I know gave me the above old seventies view from her childhood appartment and chatted a bit about kid-gangs at that time. Luckily there was a public library which was her refuge. She said: This kind of environment is supposed to make you tough. You are currently browsing the randform weblog archives for February, 2007.